Our team of digital marketing experts provide automotive dealers and OEMs with industry-specific digital marketing solutions to boost performance online. Unlike traditional agencies, our automotive industry know-how ensures that we have an online marketing solution to match your dealership size and goals. Automated Inventory Advertising – using our smart automated data feed technology, we are uniquely positioned to power traffic to where you need it most – your specific vehicle detail pages. We can make the car the star with increased vehicle detail page views, increased leads and a wider audience for your dealership and brand. How? Because we’re part of Dealer Solutions, one of Australia’s largest automotive inventory data aggregators, you will access our smart automated data feed technology. We are also powered by the global Cox Automotive group. 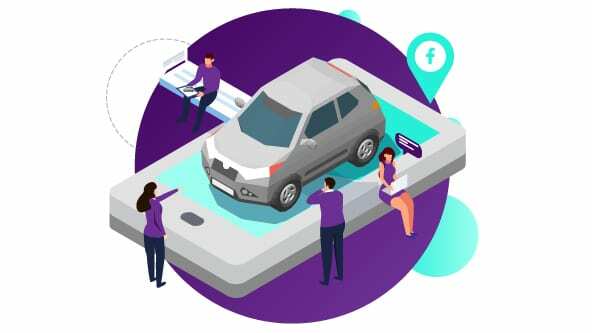 Learn more about automated inventory advertising and how the Digipurple difference really powers up when you integrate it with Dealer Solutions photography, modular website platform, and our unbiased data aggregation which exports to over 140 destinations including Autotrader, Gumtree and Facebook. Start your free consultation today.